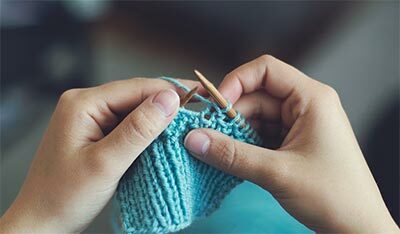 Share your love of CROCHETING and KNITTING by teaching just two people—and we'll soon have the whole world crocheting and knitting. You don't have to be an expert crocheter or knitter to teach the basics. Whether you've been crocheting or knitting for two weeks or twenty years, you can join the Craft Yarn Council in its new campaign—EACH ONE TEACH TWO. If you teach two people, and each of them teaches two more people, and those all teach two more—well pretty soon everybody will be sharing your love of this fun and rewarding skill. Click on HERE to find a wonderful crochet instruction sheet and pattern that will help you to proceed. Have fun! Click on HERE to find a wonderful knit instruction sheet and pattern that will help you to proceed. Have fun! 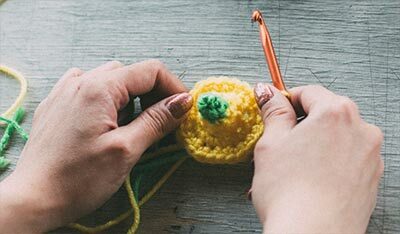 At the bottom of both the Crochet Guide and the Knit Guide, you'll find links to attractive and easy first project patterns to share with your students. In addition, there is a certificate of achievement for crochet and/or a certificate of achievement for knitting which you can download and present to your student(s) upon mastering the basics.